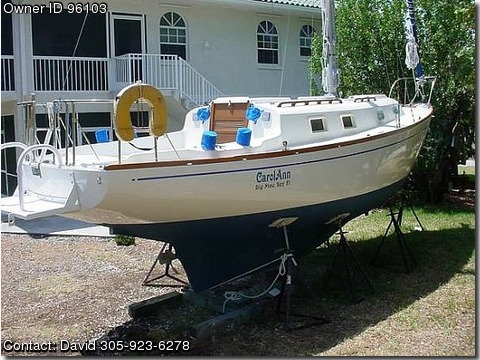 Contact the owner David @ 305-923-6278 with any questions.The S/V CarolAnn is a traditional style 1969 Charley Morgan sloop and I have owned and lovingly cared for it for the last 11 years. By far the best looking 30' Morgan anywhere! It is set up to cruise at 6 to 7 knots in 14 knot winds. She always gets great compliments in all marinas she has ever visited. It is the perfect boat for the shoal waters of South Florida and the Bahamas. Must be seen to appreciate all the fine details. Center Board: Draft is 6'3". Electric actuator raises and lowers it with the push of a button.